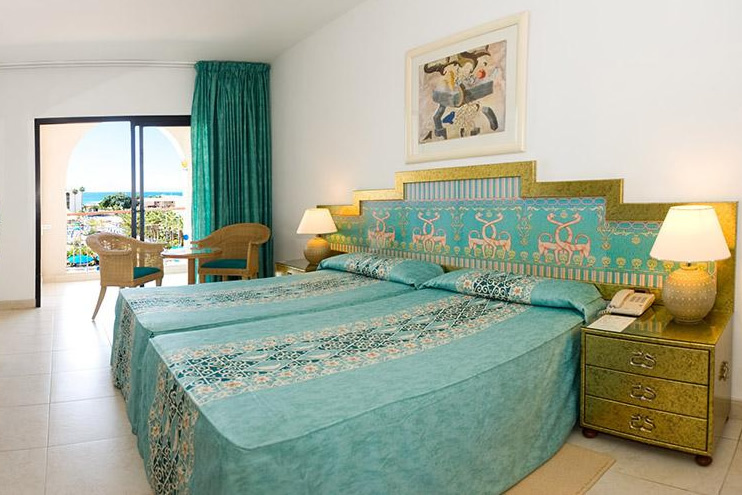 The top quality 4 star Bahia Princess Hotel is owned by the well-respected Princess Hotel Group. Situated in Costa Adeje in a quiet holiday hideaway, yet only 3 kilometres from lively Playa de las Americas, the hotel lies 300 m from Fanabe beach, (considered one of the best on the 'Tinerfeño' coast), 100 metres from the nearest shops and only a 15 minute stroll to the Aqua Park. 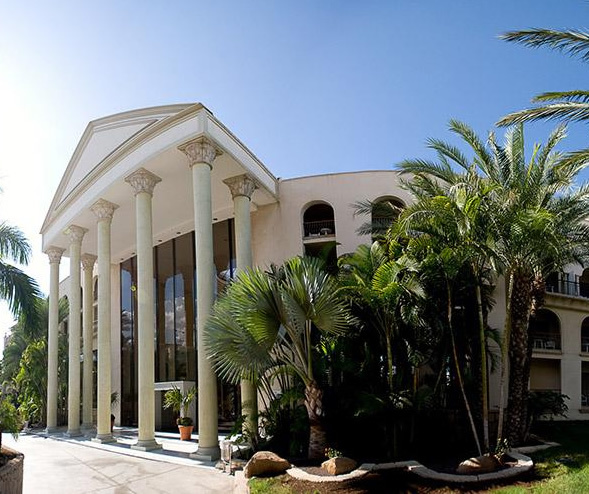 Reina Sofia airport is only a short 20 minute taxi transfer from this quality Costa Adeje hotel. 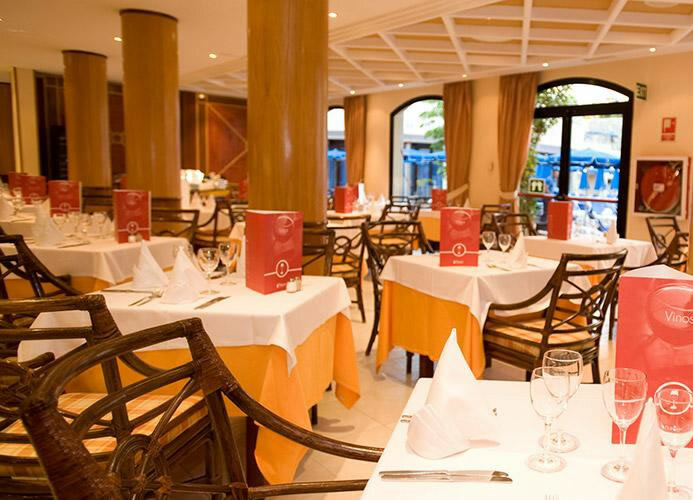 The Bahia Princess Hotel has 275 large, bright fully equipped rooms. Each guest bedrooms have 2 or 3 beds, private bathroom with hairdryer and amenities, satellite TV, telephone, hairdryer, mini-bar or fridge on request, safety deposit box (chargeable), music channel, and air-conditioning. The hotel also has 8 suites for guests that require a little extra space and luxury. The hotel offers half board and full board meal arrangements. Meals are provided in buffet style for both breakfast and dinner with show cooking. Theme evenings are held once a week with Canarian or Mexican cuisine available. You can have a choice of 2 main courses at dinner that can be served at your table on request as an a la carte option. Guests that have chosen the full board option can dine a la carte at lunchtime at the hotel barbecue. On site there are an array of facilities for guests to enjoy; three outdoor pools split over three levels with a poolside bar (one of the pools is specially acclimatised for winter), table tennis, pool table (chargeable). 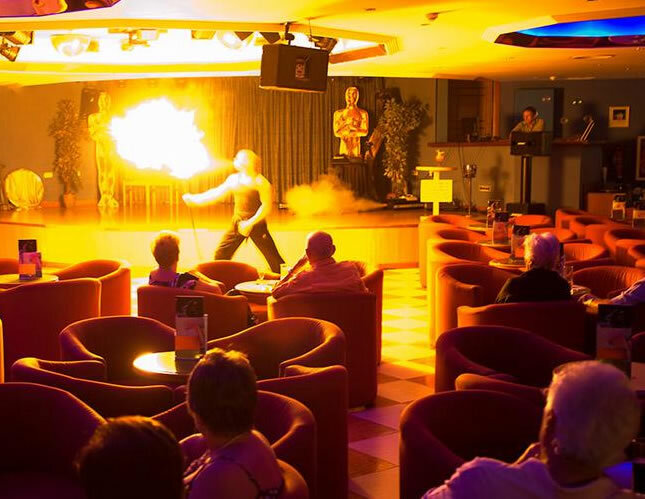 The Bahia Princess is a good choice for a family holiday there is a children's pool, children's mini club for the young guests, playground, the entertainment team are on hand to organise daily activities with a day time and evening entertainment programme and professional shows. 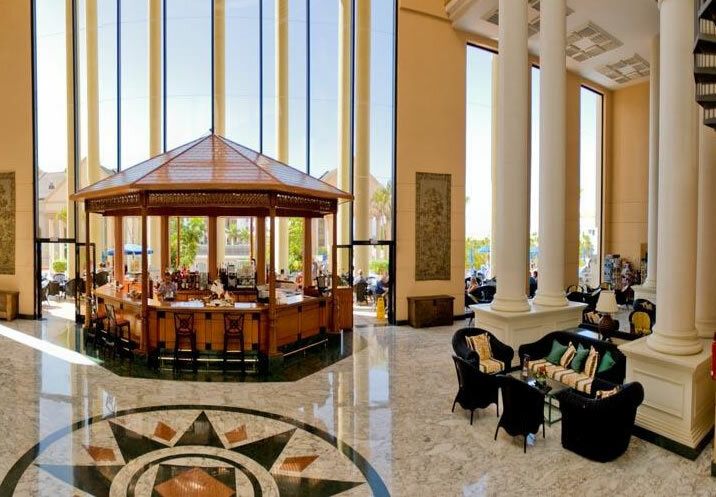 Other facilities at the Bahia Princess Tenerife include; 24 hour reception, bazaar, foreign exchange facility, hairdresser (chargeable), internet area, TV lounge, card lounge, reading area. A massage service is available by appointment (chargeable). Guest can also enjoy the facilities at the nearby Guayarmina Princess, which includes a free sauna as well as squash and tennis (extra charge).